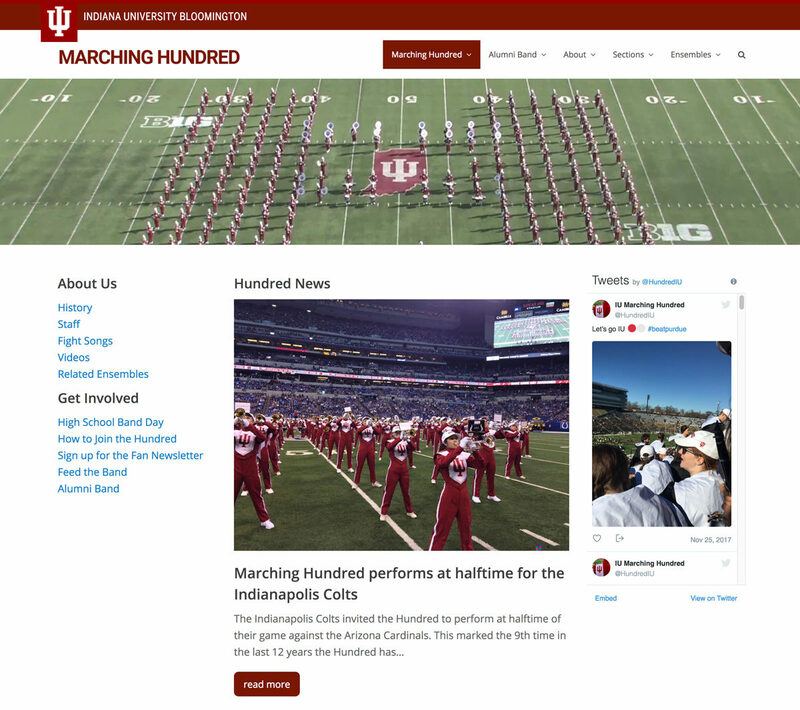 The Indiana University Marching Hundred is a musical group with over two-hundred members in Bloomington, Indiana. Work includes ongoing development and maintenance of the official website, copywriting and management of a fan email newsletter and overall web presence. Past work has included videography and editing of special features (Sudler Award Presentation/History video) and podcasts.